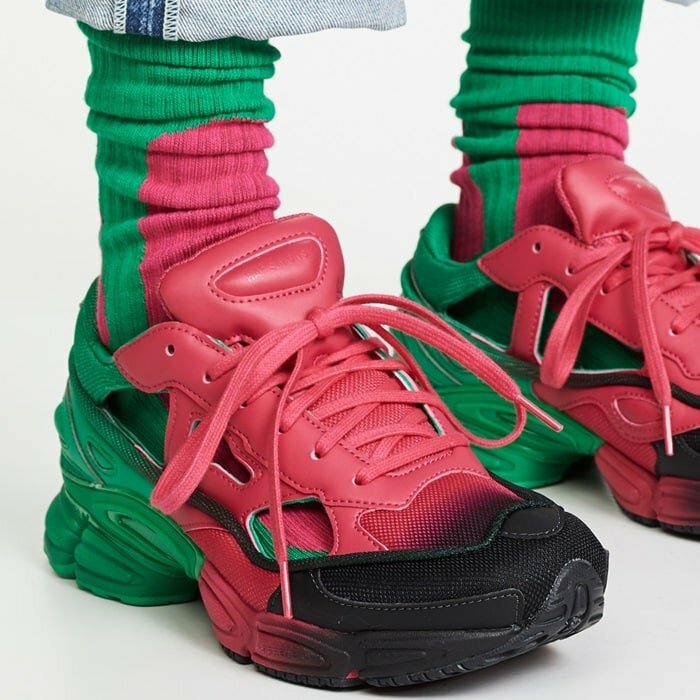 Showcasing a gradient tonal colorway of black, Adidas green and pink leather, these Replicant Ozweego fashion sneakers from Adidas by Raf Simons feature an almond toe, a lace-up front fastening, a brand embossed tongue, cut out details, a tonal gradient effect, and a ridged rubber sole. 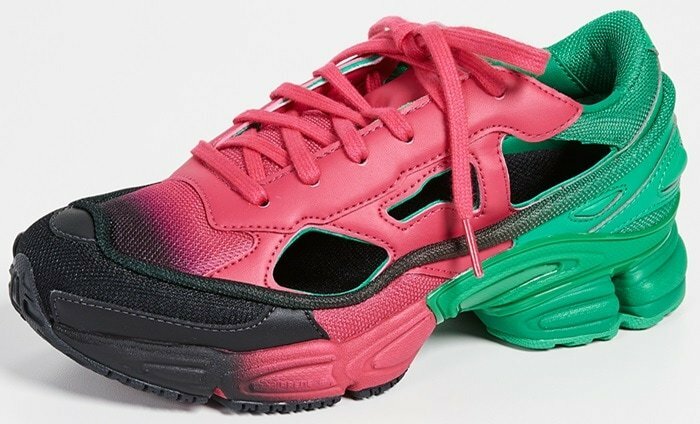 Would you wear these cutout sneakers that take inspiration from Adidas’ running heritage? 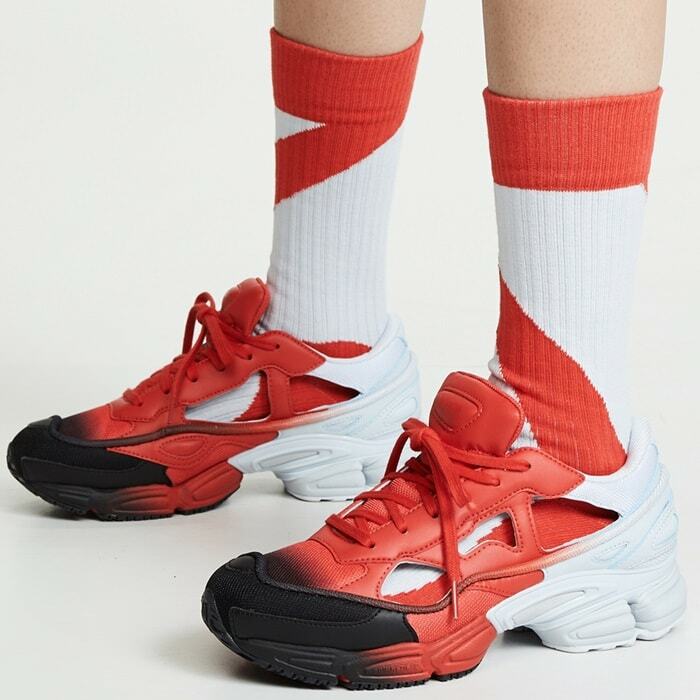 You can also buy them in red, halo blue, and core black.Which version do you like better? 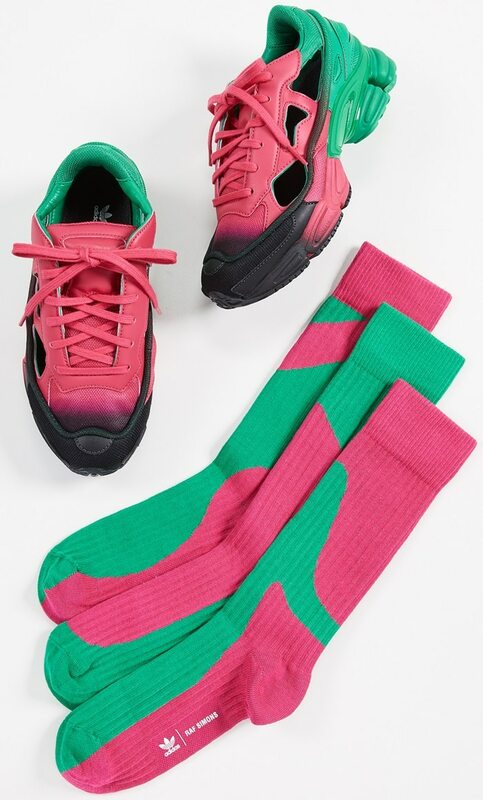 The post Pink/Adidas Green/Core Black Replicant Ozweego Sneakers appeared first on Your Next Shoes.